Avocados are touted around the nation as a staple of the California diet. Order a California sandwich anywhere outside of the state and you will get a nice mesh of avocado and turkey breast, but here on the West Coast, avocado is often avoided. One question that a lot of people have is whether or not avocado can actually be a healthy part of a weight loss plan in Bakersfield or Beverly Hills, and not just dreamed of as one. There are over 80 varieties of this delicious fruit, but the most common type is the Haas avocado, which is grown year round right here in California. 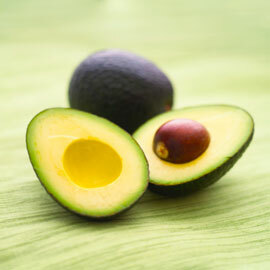 Despite their high fat content, which cannot be denied, avocados are rich in fiber, potassium and vitamins C, K and B6. The reason that so many people shy away from the avocado is the fruit’s high calorie content. One half of an avocado has 160 calories, as well as 15 grams of unsaturated fat and another two grams of saturated fats. While most people aren’t going to pull an entire avocado off a tree and bite into it, even half of an avocado sliced up on your sandwich or in a guacamole spread can be a fattening addition to any meal. However, like most great tasting foods, the avocado is generally acknowledged as healthy when eaten in moderation. In fact, just half of an avocado has more potassium than a banana—the go-to fruit we are all reminded to eat regularly for our daily dose of potassium. For all of the health benefits that the avocado packs, a lot of experts now argue that the fruit deserves the title of super food. If a 300 calorie price tag is going to scare you away from the avocado for now, then perhaps you can keep the fruit close by for its other benefits. In addition to tasting great on a tortilla chip, avocado is also great for your skin. Specifically, avocadoes are rich in vitamin E, which is a powerful antioxidant that fights free radicals and protects the skin against UV damage. As a complex carbohydrate, a lot of people also claim that avocadoes can reduce the appearance of cellulite, though this is difficult to prove. You can find avocado and avocado oil in plenty of skin care products, particularly moisturizers. While avocadoes are undeniably packed with calories, they have a lot of other health benefits going for them. Avocadoes could be a healthy addition to your weight loss diet, but the key is to eat them in moderation and not to overdo it. Limit yourself to a small spoonful of avocado spread instead of glopping on the guacamole, and cut extra thin slices instead of leaving big chunks of the fruit on your plate. By holding back, you can enjoy the rich flavor and experience the health benefits without adding too many calories to your meal.